Payless Car Sales is committed to excellence – but we are also always looking for ways to improve. Let us know how well we hit our mark of perfection by rating us below. We appreciate you taking the time! 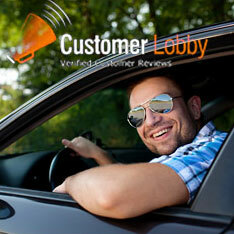 I am writing to compliment you as the best-used car dealer. I offered great service and professionalism that went far beyond the ordinary. I also would like to compliment the Service Department. Shopping for a car at Payless Car Sales was amazing, thanks to all the Tamer. He was honest and upfront! From start to finish, I was very pleased!! Awesome experience here ! The staff is super friendly and very understanding during a stressful situation ! Awesome job and thank you guys ! I purchased my car from these people, and I have not had any problems with it ever since. They were very polite and helpful when I was making my choice, and I would like to recommend them for their outstanding customer service and the vehicles they offer. Thank you! Awesome Customer service helped us out when we really needed it. My experience was above and beyond, Mike and the Boss man really did a great job with everything, definitely will recommend to anyone in the area!! I would absolutely recommend this dealership! The young lady in service is always so helpful and a delight to deal with. Everyone is very honest and respectful. My husband and I have gotten two cars and couldn’t be happier! If you need any help ask for Mona! She is the best!